Home > STEM > Where Were YOU During the Great American Eclipse of 2017? On August 21st, 2017, people across America prepared for a total eclipse that would sweep across the nation for the first time since 1918. Some people were fortunate enough to be exactly in the eclipse’s path of totality, while others travelled across states and even continents in order to see this historic marvel. These people will make contingency travel plans in case of last-minute clouds. These people will fill hotel rooms, sometimes inadvertently displacing locals from their homes as space gets harder to come by. These people will travel through miles of desert or forest or frozen wasteland, braving the harshest of conditions for a short glimpse at the eclipsed Sun. 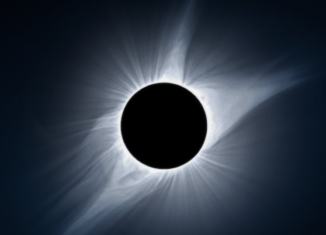 For those of us who already live here, but have never seen an eclipse, this is the opportunity of a lifetime – to see the most beautiful thing on the planet. A total solar eclipse is an event that occurs when the moon moves between the sun and Earth, lasting for nearly three hours from beginning to end, according to NASA. The shadows of the moon will darken the sky to dusk conditions even though it may be the middle of the day, temperatures drop, and stars appear bright in the sky even in the middle of the day. Retired NASA astrophysicist and photographer Fred Espenak said the experience usually lasts for just a few minutes in any one given location, but it’s truly out of this world. “You have to be there,” he added. One safety risk people had to be aware of during this celestial event was looking directly at the sun while it was eclipsed. Viewing an eclipse without protection can be very dangerous for many reasons. The darkness that accompanies an eclipse can override the natural tendency to squint and avert the eyes, increasing the amount of ultraviolet radiation landing on the retina and making it more likely that you’ll sustain eye damage. Your eyes can sustain damage even if only a small sliver of the sun is visible. The cornea focuses sunlight on the retina and scorches it, and because the retina has no pain receptors, you don’t know the damage has been done until it’s too late. The eclipse can be safely viewed by using specialized eclipse glasses that block out all light, only allowing you to see the sun and moon. However, in locations where there were total eclipses, people were able to take off the glasses and immerse themselves in the beauty of the eclipse for a few minutes without causing any harm. People were in awe of the immensity of nature when the heavenly body located over 9 million miles away, the sun, was completely shrouded by the body 238,900 miles away, the moon, and completely transform our lives for more than three hours. Even from just watching the live broadcast of the eclipse across the nation, one can sense the raw emotion people felt when they experienced the eclipse first hand. Luckily, if you missed the eclipse, there will be another total eclipse passing through the United States in April of 2024, which is not too far in the future. Scientists believe it may last even longer than this past one, and thus, it will be even more amazing to see.